For many job seekers, resume writing is one of the most stressful parts of searching for employment. 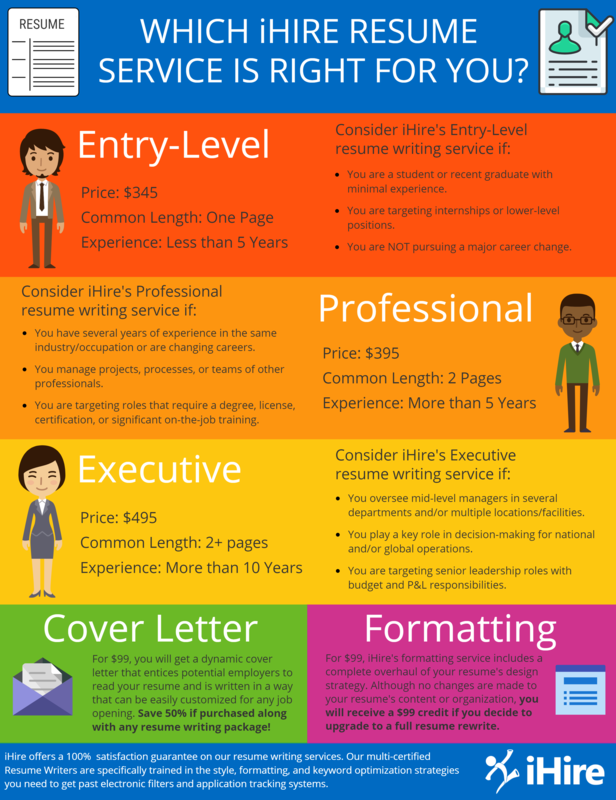 If you are not a confident writer or simply don’t want to spend hours writing, reviewing, and editing your resume, consider taking advantage of iHire’s resume writing services. We have professional resume writers on staff who are specially trained in the latest and greatest resume writing techniques and strategies. 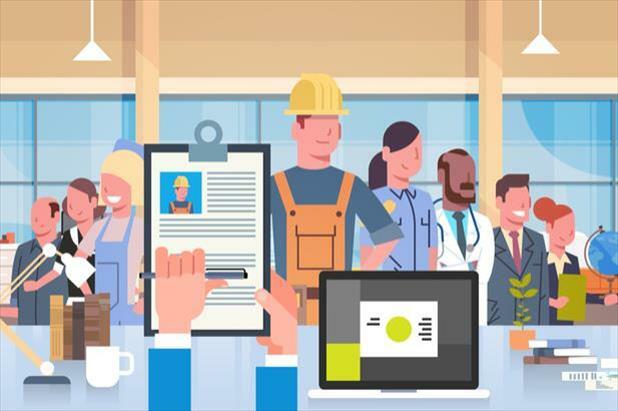 Whether you need help creating a professional resume or are looking for cover letter writing or resume formatting assistance, there are a range of iHire resume products to choose from. Check out the infographic below and choose which service is right for you!